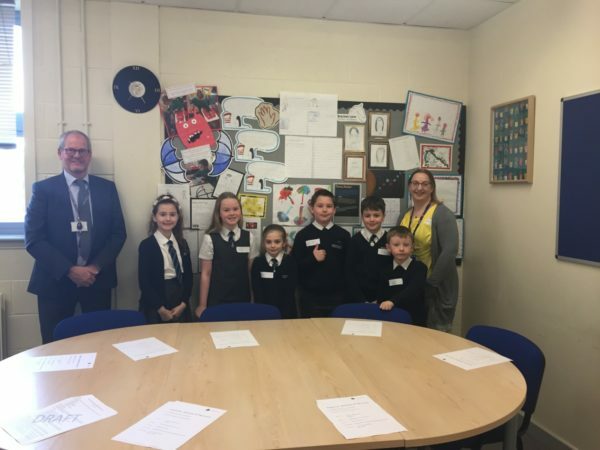 On the 20 March, the Diverse Academies’ head office team were once again joined by a number of pupils, this time from Bracken Lane Primary Academy. The group came to see their display of work, which was recently installed in the trust CEO’s office in the Diverse Education Centre, Retford. 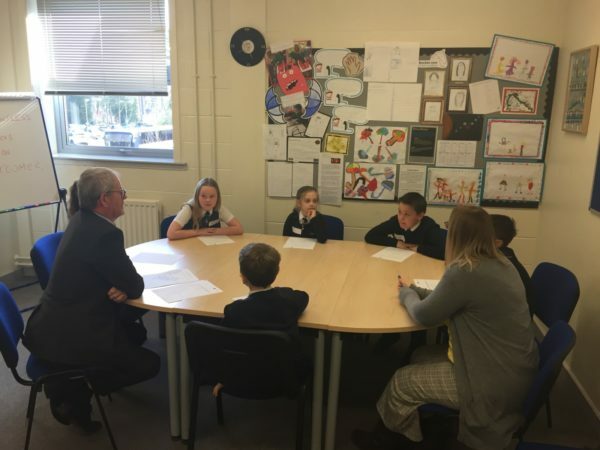 During the course of the morning, the children had the opportunity to find out more about the role of a CEO and how a number of other members of staff work to support their teachers in the classroom. The children were keen to understand more about how they are kept safe online when using IT equipment in school, and also talked about the importance of understanding their academy ‘golden values’. The visit ended with a tour of the trust headquarters and a photo opportunity as the students saw their work in-situ. Thank you to the staff and pupils from Bracken Lane for joining us – we hope you found it interesting and enjoyed seeing your work proudly displayed.